DRM is the universal, openly standardised digital broadcasting system for all broadcasting frequencies. 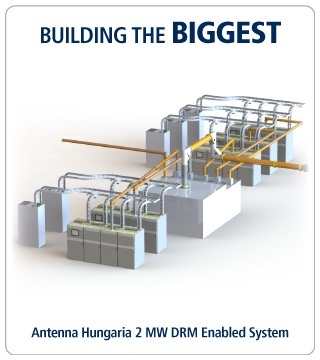 DRM is the universal, openly standardised digital broadcasting system for all broadcasting frequencies, including the AM bands (LW, MW, SW), as well as VHF Bands I, II – (FM band) and III. DRM provides the exceptional sound quality and ease-of-use that listeners have come to expect from digital radio as well as a host of additional features including surround sound, text, slideshow, electronic program guide, data services, and motion video. Learn more at Digital Radio Mondiale website or read their handy DRM Standard At-A-Glance document. 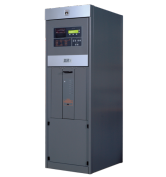 Nautel offers the industry’s broadest offering of solid-state DRM models ranging from 1 kW to 2,000 kW; the NX Series. Whether building the BIGGEST or building for a BILLION, Nautel is ready to take on the world’s largest digital radio deployments. Power savings, outstanding reliability and world-class customer service were key to Nautel’s 2 Megawatt NX2000 system selection at Europe’s most powerful MW station – Antenna Hungária, Solt, Hungary. It’s now on-air on 540 kHz and can be heard all over Europe as well as in parts of Africa, Russia and Asia. Five solid-state, DRM-enabled NX400 transmitters and a 2,000 kW combiner comprise the 2 Megawatt system which replaced an aging custom-built tube transmitter that had been in operation since 1977. The large-scale deployment involved large infrastructure changes at the site; including interfacing with existing 11 kV voltage supply, building modifications, and air handling modifications. 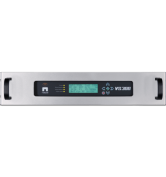 The largest digital broadcasting system in the world at 33 sites is on air in India; all using Nautel high-power NX Series transmitters configured for DRM30. This massive project by India’s Prasar Bharati for All India Radio has the goal of bringing digital radio to nearly a billion residents of the country. 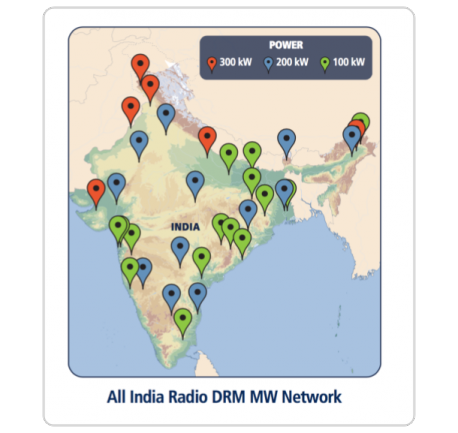 The first 27-unit order in 2013 of eleven 100 kW NX100, ten 200 kW NX200, and six 300 kW NX300 DRM-enabled MW-AM transmitters comprised the world’s largest digital radio deployment to date. 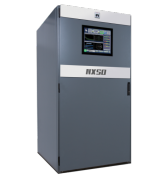 A second six-unit follow-up order in 2017 included four 100 kW NX100, and two 200 kW NX200 DRM-enabled MW-AM transmitters.